The Auckland choreographer runs the popular Palace Dance Studio, developing emerging dancers and choreographers. She is also the lead choreographer and a dancer of the award-winning, all-female dance group ReQuest. Parris is internationally recognised in hip-hop dance for her ‘polyswagg’ style, which incorporates traditional Polynesian dance influences. First year classical student Yayoi Matches of New Zealand School of Dance. Photo by Stephen A’Court, courtesy of New Zealand School of Dance. Her choreography has won gold medals three years in a row at the prestigious World Hip Hop International Dance Championships in the USA. Her first production, Murder on the Dance Floor, sold out this year at the Vodafone Events Centre in Manukau and she has even worked as a choreographer for Jennifer Lopez. The New Zealand School of Dance (NZSD) has launched a donation appeal to help bring guest teachers to the school. All gifts to this appeal will help NZSD students learn from renowned dance tutors, and to achieve their dreams of dancing with professional companies. The school is a registered charity and has to raise at least $300,000 every year just to keep operating, on top of its government funding and fees. If you wish to make a donation, go to www.patronbase.com. Footnote is currently looking for a new General Manager and will hold company auditions for dancers this month. From January 21 to February 5, 2014, it will run its ever-popular Choreolab, one of the most significant workshop development events for professional dance practitioners in the country. Following Choreolab, Footnote will offer short-term contracts to five or six dancers, for performances of Straight Laced, a new work by Craig Bary. For more information, go to www.footnote.org.nz. Eddie Elliott. Photo by Tracy Trinder/Over the Rainbow. Unitec has just finished its annual dance showcase, which received stunning reviews. The training institution continues to produce highly skilled graduates who are gaining employment with the country’s top companies and choreographers. Chrissy Kokiri has recently taken a contract with The New Zealand Dance Company, Eddie Elliott is working with Douglas Wright on his new project, and several graduates are working with Tairoa Royal and Taane Mete on Paniora, due to premiere at the International Arts Festival 2014. 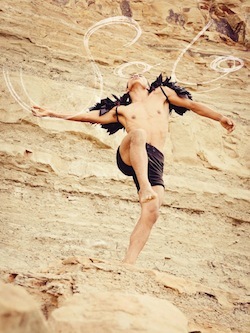 Okareka Dance Company has two exciting events happening in January. First up is a two-week intensive summer school, running from January 6 to 17. 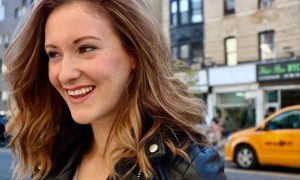 Next is a masterclass on January 11, with two of Broadway’s finest dancers and choreographers, Missy and Andrew Hubbard. Both events take place at Unitec. For more information, visit www.okareka.com. The New Zealand Dance Company will soon embark on its first international tour to perform Rotunda at the prestigious Holland Dance Festival in February. Rotunda premiered in August 2013 and features NZ dance set to NZ music, which will be performed live by a Dutch brass band for the upcoming tour. The New Zealand Dance Company acknowledges the support of Creative New Zealand, who has helped make this tour possible. Dancer Sacha Copland performs in ‘A Java Installation.’ Photo by Gabrielle McCone. The company also launched a crowd-funding campaign through The Arts Foundation’s Boosted For The Arts programme, to raise funds towards the cost of this tour. With the support of 82 donors they achieved 103 percent of their $15,000 fundraising target. 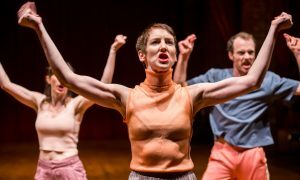 “The opportunity to present our uniquely New Zealand work on the international stage is a very special one and we’re hugely grateful to everybody who has supported this campaign,” said Shona McCullagh, chief executive and artistic director. 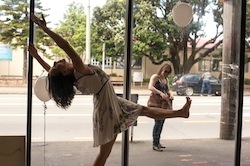 Java Dance Company is celebrating its 10th birthday with a shop window display entitled A Java Installation. Reflecting on a decade of explosive choreography, stunning photography, mesmerising characters, unique innovative design and world class dancers, the installation brings together some of the company’s most magical moments. The interactive installation gives Wellingtonians an intimate experience of Java, with a daily-changing window including helium balloons, blue paint, flour and other magical surprises. Photo (top): Samoan dancer and choreographer Parris Goebel. Photo courtesy of The Palace Dance Studio.